Family Pharmacy is a family-owned pharmacy that has been serving the areas of Pottsboro, Sherman and Dennison since 1986. When you step into our pharmacy, you'll feel right at home. "Family Pharmacy is truly a family member. I can always count on them to go above and beyond for whatever I need." 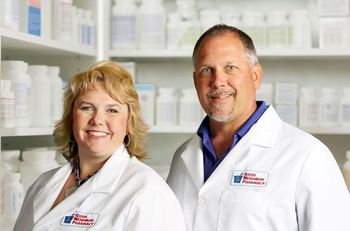 At Family Pharmacy of Pottsboro, we take pride in the fact that we're an independent local pharmacy. Our staff guarantees friendly customer service that will strive to meet your every needs. We take the time to provide you with unparalleled attention so come stop by today. Search PocketRx in the Apple App and Google Play Store.